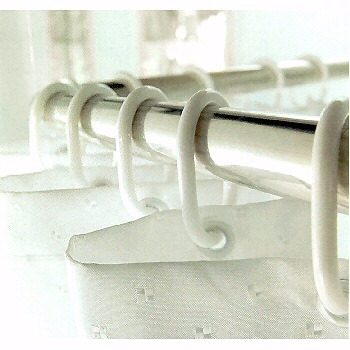 Durable hard plastic "c" shaped shower curtain rings. Easy to install. Just twist and push over your shower curtain rod. 12 pieces included. Tub width shower curtains are 12 eyelets.